Sometimes we just need a way to spice up our mealtimes around here. After all, lunches with the kids rotates between macaroni & cheese, peanut butter & jelly and a bean and cheese burrito, so it can get awfully boring to sit there and look at the same old plate and same old cup sometimes, right? 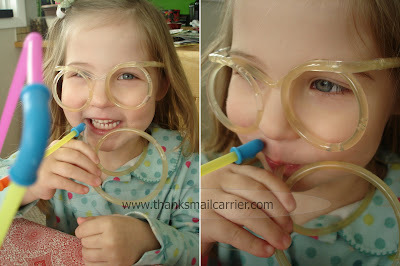 Well, thanks to the innovative and fun Super Sipperz, a regular old glass of water will never be the same again now that these entertaining straws and connectors are around. First there were regular, straight straws. 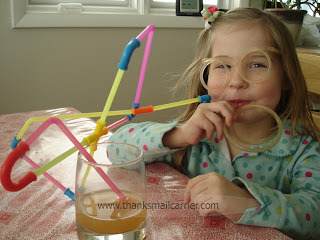 Then there were bendy straws, which were immensely more fun. And then came straws with loops and curves and shapes and they made all others seem obsolete... until Super Sipperz have come along and made everything else old news. 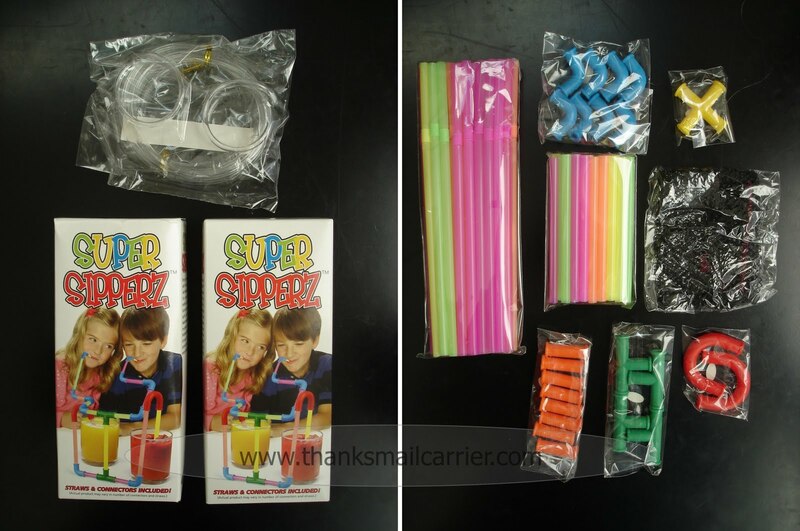 A collection of 80 straws and connectors, Super Sipperz are the next generation of drinking and creating fun... and pretty much all you have to do is take them out of the box and let your imagination go wild. 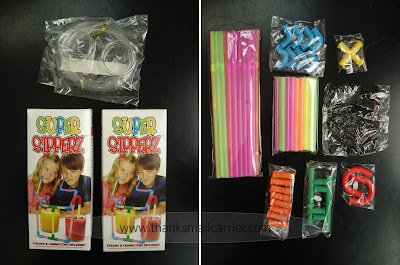 Great for kids of all ages, Big Sister E took one look at all of the colorful pieces that came in our Super Sipperz sets and wanted to immediately start construction. Considering that there was no right or wrong way to put these together, she happily picked out piece after piece and stuck them together - one straw, then one connector, then another straw, then a different connector and so on. When it came time to take a drink, I helped to make sure that there weren't any pieces that didn't lead to somewhere else and then added the pièce de résistance: the straw glasses. Big Sister E couldn't wait to give our creation a try. I think saying that Big Sister E was overly excited about the Super Sipperz might be somewhat of an understatement. Even though the standard size of the glasses were a little too large for her head, she still happily drank her juice, pausing only to point out how neat it was that she could watch the liquid travel up, down and around the colored straws and then across her face. And, of course, since Big Sister E was having such a great time drinking with her Super Sipperz, that meant that Little Sister B wanted in on the action. It was a good thing that there were two sets! I was impressed that not only did Super Sipperz provide endless entertainment for both kids, but that the air-tight seal that was advertised really didn't leak at all. The only time that we had any liquid come out was when the girls would stop drinking and set the straw down, causing any of the beverage still in there to follow gravity and come dripping out. 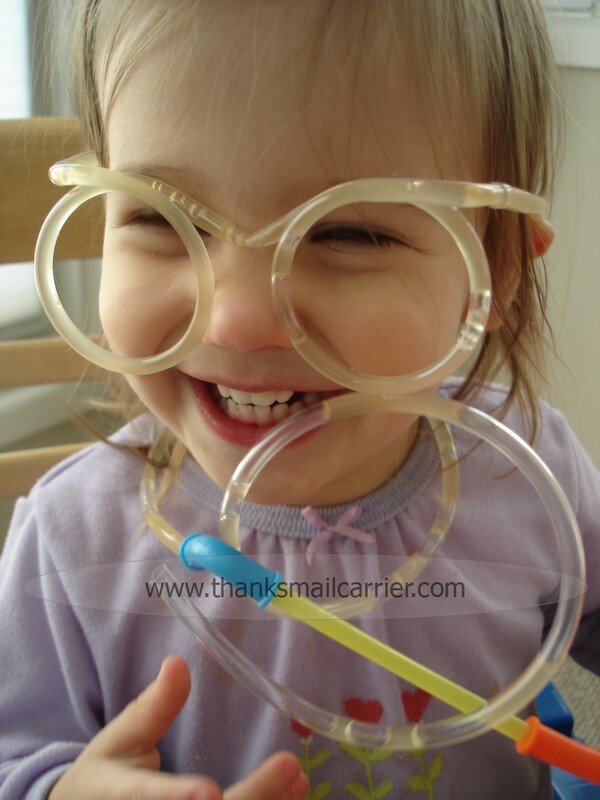 But that was easily wiped up with a napkin and of course didn't affect the use of any of the Super Sipperz. 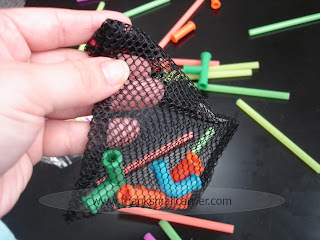 And, when we were done playing and drinking for the day, I loved that the connecting pieces were easily tossed into their provided mesh bag and were safe for the dishwasher. Convenience is a wonderful thing! These reusable Super Sipperz are just the thing to bring some excitement to a party or just to mealtimes at home. Although they come with a great supply of colorful straws of multiple lengths, they can be used with any standard or bendy straw, meaning the possibilities are endless! For a fun, creative, affordable gift for kids of all ages (only $9.95 for the first set and $5.00 for the second), Super Sipperz would be a fun stocking stuffer, birthday gift or party favor that would really last. 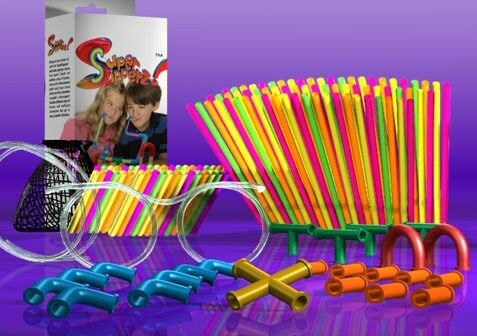 For more information or to order your own set of Super Sipperz, visit www.GetSuperSipperz.com. Oh my goodness look at the girls, too cute. What a great stocking stuffer gift. The kids would love these!